Available at Belle Mia in Asheville, Latisse® is the only FDA-approved prescription eyelash growth treatment for hypotrichosis, a condition of having inadequate or not enough eyelashes. Latisse is a once-daily prescription treatment applied to the base of the upper eyelashes with a sterile, single-use-per-eye disposable applicator. Latisse is clinically proven to lengthen, darken and thicken your natural lashes. 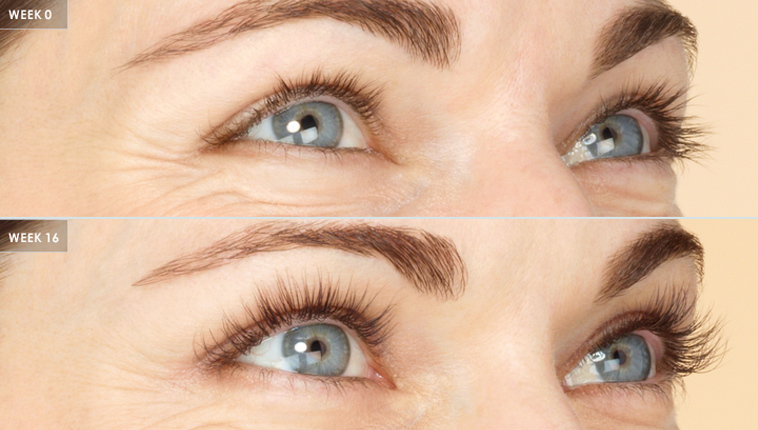 Latisse is the first and only FDA-approved treatment clinically proven to grow lashes. Our eyelashes have a natural growth cycle. The active ingredient in Latisse, bimatoprost, is believed to affect the growth phase of the eyelash hair by increasing the length of the phase and also by increasing the number of hairs produced during this growth phase. You should consult your eye doctor if you have been previously diagnosed with eye pressure problems (specifically elevated Intra-Ocular Pressure), currently taking medication for eye pressure problems, or have risk factors or family history of glaucoma.